The 1995 Conservative Government’s Pension Act included plans to increase women’s SPA (State Pension Age) to 65, the same as men’s. 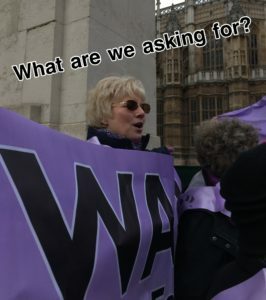 WASPI agrees with equalisation, but does not agree with the unfair way the changes were implemented – with little or no personal notice (1995/2011 Pension Acts), faster than promised (2011 Pension Act), and no time to make alternative plans. Retirement plans have been shattered with devastating consequences. The campaign started with ordinary women who in 2015 got together via Facebook and decided to fight this injustice.